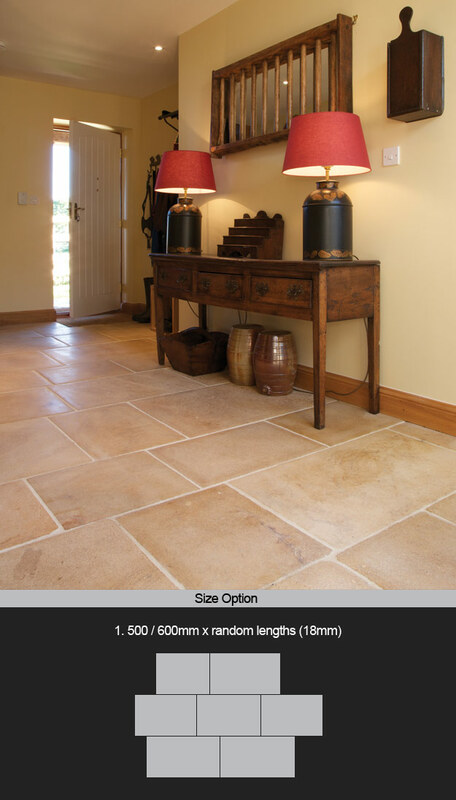 This warm biscuit coloured limestone flooring is supplied in the traditional English floor pattern to compliment its classical English styling. This stone floor has been carefully distressed by hand to soften the tile edges and the smoothing of the stone surface. This stone is very hard wearing and can be used in domestic, commercial and exterior situations.